Why attend customer service conferences? Searching for the best customer service conferences in 2018? There are so many to choose from so we’ve selected the best customer service conferences across Europe, including in the UK, Romania, and Sweden. The world is changing fast and new techniques and channels for customer service are emerging all the time. These conferences are the best way to speak to others at the forefront of that change and gain valuable insights that you can implement in your business. We’ve hand-picked the best customer service conferences for 2018 based on their value and quality. They’re listed in date order so open up your calendar and get ready to add your favorites. About the conference: Only senior executives responsible for the development and implementation of customer insight and data strategies are involved with this conference. Following 9 months of in-depth topic research and analytics, each attendee receives an itinerary customized to their own business objects, and take part in one-on-one meetings with Think Tanks, solution providers and other senior executives. About the conference: Focusing on those in the mobile industry, this conference focuses on what you need to create and develop a mobile customer centric strategy and technology decisions while driving customer engagement away from a “one size fits all” approach. About the conference: Focused on developing Customer Experiences in the Telecom sector, this global summit will look at embracing today’s evolving customer needs in both the B2B and B2C sectors by optimizing all consumer touch points. About the conference: Join communication professionals and learn how to deliver real results and ROI with innovative corporate strategies through Social Media Engagement and maximized consumer reach. About the conference: This is a one day conference in Ireland with 20 speakers, 6 workshop events and will focus on how to implement your digital campaigns and how to leverage your customer engagement strategies all at once. About the conference: This is another one day event and will focus on how to create customer experiences to drive revenue. Over 22 thought leaders will teach attendees how to upgrade customer loyalty through better targeting of customers in the B2B and B2C sectors. About the conference: This is the largest customer service conference in the UK and draws hundreds of service professionals and business leaders together for a one day event of learning and development. The conference also hosts the UK Customer Satisfaction Awards ceremony. About the conference: The bond between marketing and customer service grows tighter every year. This is an exclusive meeting for CMOs to develop business strategies in a controlled environment. About the conference: This digital and social marketing conference looks at the challenges of the digital future by addressing how to create dynamic, immersive content to build future growth and leverage your current customer relationships. About the conference: With over 650 participants projected to attend, the Customer Strategy & Planning conference will focus on top industry performers invited to share their best practices. About the conference: This is the biggest Customer Service conference in Eastern Europe and highlights the increasing need for strong partnerships, the developments of KPIs and investment in employee engagement. About the conference: This two day event features interviews, keynotes, workshops, round-table sessions and much more from experts all over the globe. Learn the latest methods for successful customer outcomes, which organizers say only 1% of organizations are currently using. About the conference: This conference pairs technological developments with customer service strategies. Join business professionals in CRM and IT to learn how to shape customer strategy. About the conference: With a focus on the retail industry, this conference brings together top business leaders and speakers to learn how to better engage and develop customer service and experience by discussing and sharing best practices for the future. 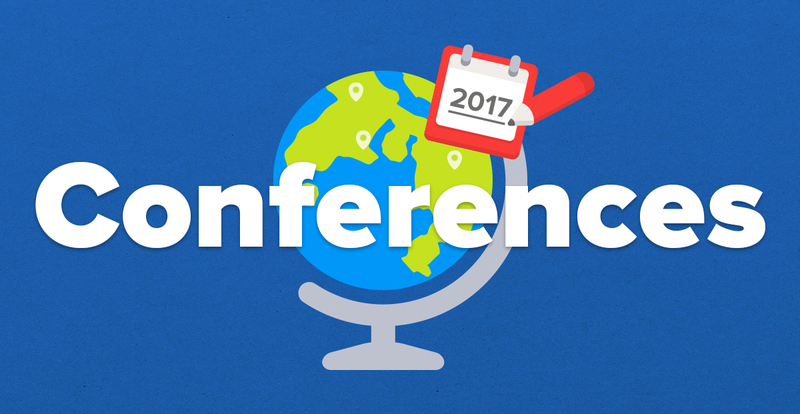 About the conference: Join over 500 attendees in the largest digital marketing event in Scandinavia. This event focuses on customer loyalty, cross and upsell programs, churn, and win-back programs through CX and CRM. About the conference: The Customer Service Summit is a by brands for brands meeting focused on bringing together an unrivaled list of in-house customer service leaders across Europe. You will learn how to advance customer support through AI, self-service, social customer care, multichannel integration, automation, empowered agents and more. About the conference: This is Europe’s single biggest customer and employee engagement event and is projected to grow beyond 900 delegates this year. This conference brings together business leaders from all over the world to examine how to encourage, develop and even repair customer engagement in a variety of industries. Customer experience is the most exciting opportunity to businesses in 2018. An important part in any customer experience is the interaction a customer has with your customer support employees and the service they deliver. Wherever your interests lie, attending a relevant customer service conference in 2018 will help you gain new knowledge and learn new skills from the leaders in your industry. From the list above, which customer service conference will you attend this year? And if missed any, let us know in the comment section below. P.S. If you found this list valuable, remember to Tweet about it here! P.P.S. Check out our full list of 2018 CRM conferences! For further information on this years Customer Engagement Summit (18) and our many other Customer and Employee Engagement focused conferences, please feel free to reach me on my direct dial 01932 506 305. Alternatively, please email me at james.hitchinson@ebm.media. Many thanks, James. Excellent, James! Thanks for contributing on this customer service conference post.